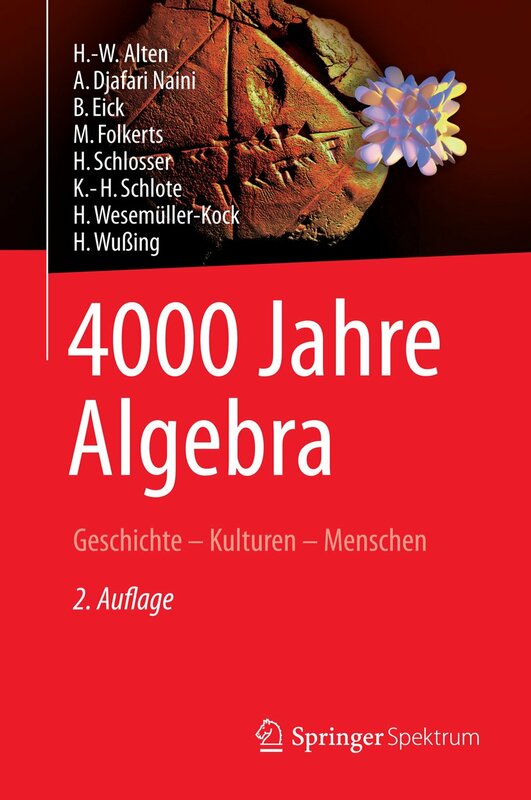 The July Book of the Month is in German: 4000 Jahre Algebra (4000 Years of Algebra) by Alten, Naini, Eick, Folkerts, Schlosser, Schlote, Wesemüller-Koch, & Wußing. First published in 2003 and republished by Springer-Verlag in 2014 (also available as an e-book), this is one in a series reviewing mathematics from a historical and social standpoint. 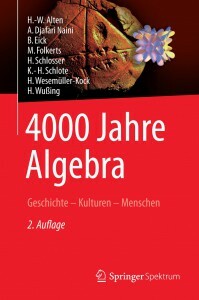 It traces the development of algebra as part of our culture, linking early ways of calculating up to computer algebra to historical events.